Love to try gardening but don’t have enough yard space? Not a problem. Build a terrarium and enjoy growing a small greenery of your own! What is a terrarium? A terrarium is a collection of small, decorative plants called succulents given care within an enclosed environment. Succulents are usually grown within transparent containers with an opening that allows the gardener to access the plants. What will you learn? This 1-hour workshop will teach you how to create beautiful terrariums using a variety of succulents and gives you tips on nurturing it. 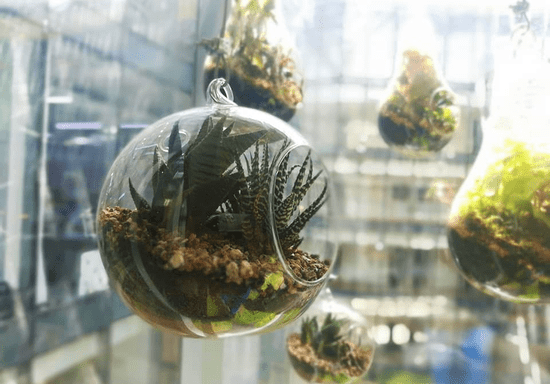 Gardening experts will provide you hands-on experience and useful information on what makes a healthy terrarium, and even tricks on how to maintain your own little green world. What will you take home? You’ll gain a handful of gardening knowledge (it is recommended to take notes during the sessions) and bring home your own terrarium creation! 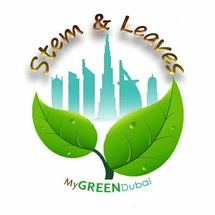 Tools, plants, soil and other supplies will be provided during the sessions.